What’s on your plate is important, sure, but research shows that what’s in your head counts, too. Use these expert mental exercises to reach your goals once and for all. If you’ve ever struggled with making permanent healthy lifestyle changes you know that, nope, it ain’t always that easy. The truth is that if it were oh-so simple to change our negative behaviors, we’d all look like Gisele and Tom (or at least, their slightly-less-in-shape cousins). Weight-Loss Mind Trick #1: Talk to yourself. Internalizing a purely intellectual concept — say, “I want to get healthy” — can be difficult. However, when you experience something with your physical senses, it makes a much more powerful and meaningful impression. When you speak out a thought aloud, it makes a strong impact on you, especially if the words are said with feeling and commitment. This is why skimming over a book or speed reading has very little staying power, and the information often simply enters one part of the brain and leaves through another. When you read a statement aloud and with commitment, though, it sinks in. In fact, research published in the Journal of Experimental Psychology found that while people studied, saying the important information out loud had a more significant impact on memory. Your move: Choose a positive affirmation that resonates with you, and say it aloud. It may feel a bit weird, as you (hopefully) don’t often talk aloud to yourself, but it really works! Weight-Loss Mind Trick #2: Repeat yourself. The second very effective method for closing the gap between emotions and mind is repetition. Repeating a concept audibly or mentally helps internalize and engrave the concept on the slabs of your heart. Eventually the concept will be on your mind while you are walking on the street and sleeping on your bed, affecting all your thought processes without your even having to pay attention to them. Your actions will be directed by the subconscious motivations you programmed internally yourself. That’s why one of the suggested components of The National Diabetes Education Program’s plan for promoting healthy habits and preventing diabetes is repeating daily positive affirmations: “An affirmation is a motivational quote that you can use to remind yourself of your inner strength, which will keep you on track . . . Some people repeat the affirmation to themselves while walking, or they may post it on the bathroom mirror or refrigerator door to receive encouragement from it every day.” You should define your message and write it down, committing to reading your affirmations aloud every day for a period of time — first thing in the morning, before you go to bed, whatever works for you. Weight-Loss Mind Trick #3: Use your imagination. Imagination arouses inner motivations and helps internalize information that was previously confined to the intellect. For example, imagine yourself healthy and at your goal weight. “See” how you look. “Feel” how confident you are. Notice your exhilaration with your appearance! Imagine all those dreaded illnesses and diseases you’ll be avoiding by making the right changes. Feel how much “lighter” you are — physically and emotionally. Today this exercise is called guided imagery, a technique that involves picturing a specific image or goal and imagining yourself achieving it. It is described as mobilizing the unconscious mind to assist with conscious goals. Athletes use this technique to improve their game by imagining their future performance in detail and how the perfect execution of their task feels. Imagery is believed to have been used as a medical therapy for centuries, with some saying the techniques even go back to the ancient Babylonians, Greeks, and Romans. 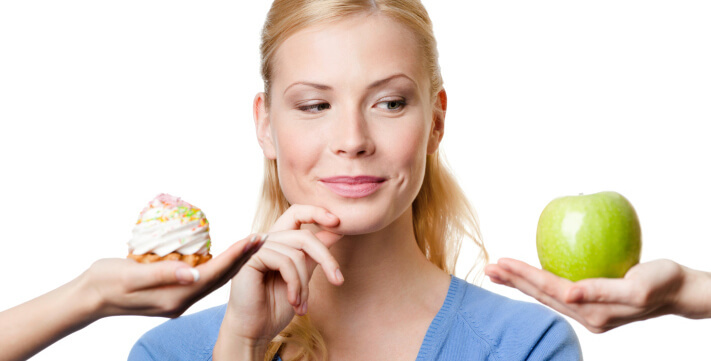 And according to Johns Hopkins Medicine, visualization plays an important role in the psychology of mindless eating. Visually plan how much you intend to eat before you start a meal and don’t allow yourself to go over the limit. This way, your mind and body will be prepared to respond to the overeating challenge during the meal.